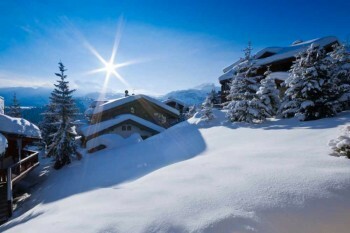 Courchevel is a world-class ski resort in the 3 Valleys ski area, with access to 600km of pistes. 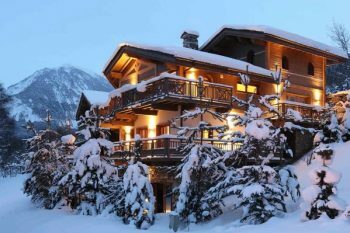 Renowned for super-luxury, practically everything in Courchevel is high-end including the pistes and lift system, the Michelin-starred restaurants, exclusive hotels and ski chalets, and ultra-stylish shops. 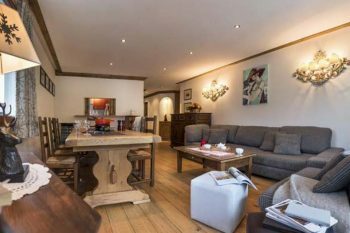 Each village within Courchevel has its own personality, advantages and disadvantages, so you’ll certainly find something to suit you. 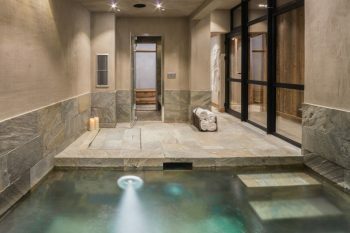 Courchevel’s catered ski chalets range from the super-luxurious to much more down to earth, meaning it caters for all budgets. The incredible skiing is for everyone, though. Courchevel is split into several resorts, Courchevel Le Praz (formerly Courchevel 1300), Courchevel Village (formerly 1550), Courchevel Moriond (formerly 1650), and the grand-daddy of them all, Courchevel 1850. 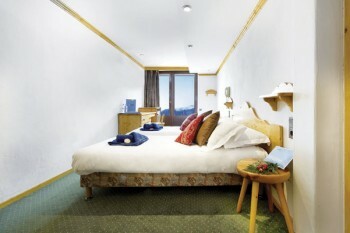 Each part of the resort has its own ambiance as well as various advantages and disadvantages of staying there. 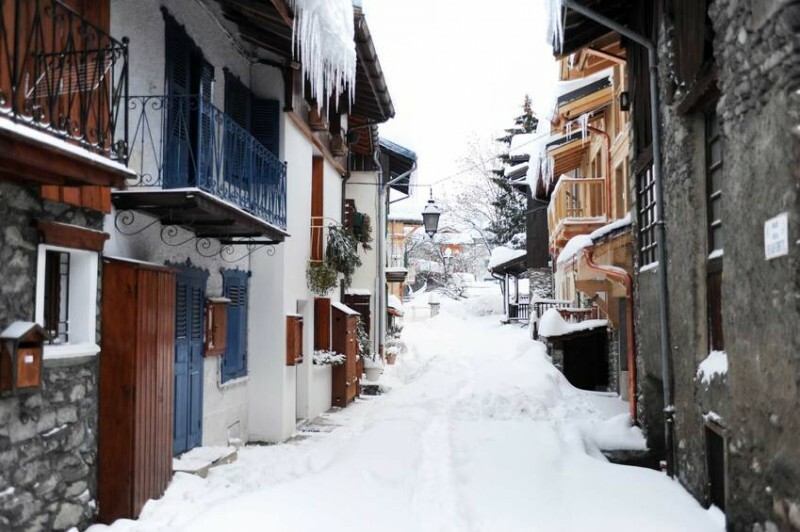 The original Courchevel, Le Praz is an old and traditional Alpine village at the base of the ski area. The village itself is nothing short of beautiful, the views over the lake with the ski jump from the 1992 Albertville Olympics in the background is one of the most iconic vistas in the Alps. 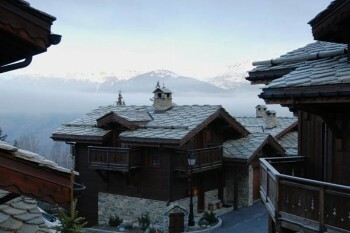 The village has everything a skier needs; several ski hire shops, a ski pass office and a choice of two gondolas. One (Le Praz) drops skiers off in the centre of 1850. 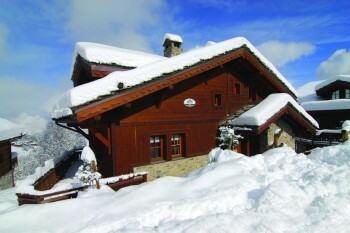 The second (Le Foret) offers immediate access to Meribel from the summit of the Loze. 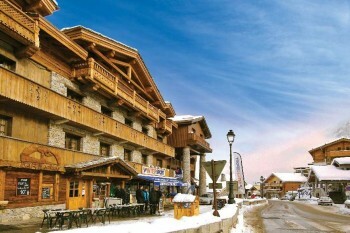 The village doesn’t have the nightlife that the other areas offer but there are a handful of spots, the liveliest of which is L’Escourchevel, known locally as the Sports Bar which shows all the big matches as well as having live music several times a week. For restaurants, you are spoilt for choice. 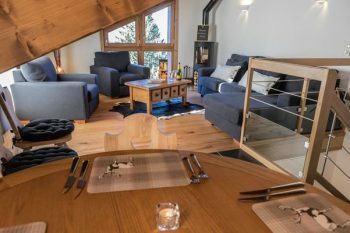 Le Bistrot du Praz is one of the best local speciality restaurants in the Alps, and there are several creperies and pizzerias for those looking to keep to a budget. Often seen as the budget alternative to 1850, Village is situated just below it. The Grangettes gondola goes straight into La Croisette and there is the choice of two chairlifts, Dou du Midi and the Tovets. 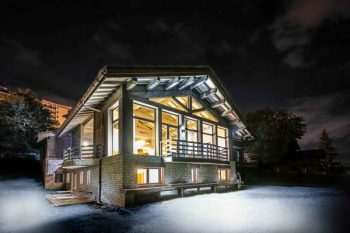 This choice tends to prevent bottlenecking in the morning and provides those looking to explore the vast 3 Valleys with a great jumping off point and offers better value for money than 1850. The village itself has a few restaurants; fondues and raclettes at Le Caveau, and great steaks cooked on an open fire at L’Oeil du Boeuf. It doesn’t offer a great deal of choice with bars though; those looking for a good night out are best off jumping on the bus and heading up to Moriond that offers more choice. 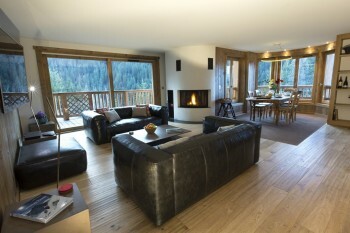 Fast becoming the only place in the resort to stay for skiers and boarders looking for a bit of atmosphere and nightlife. 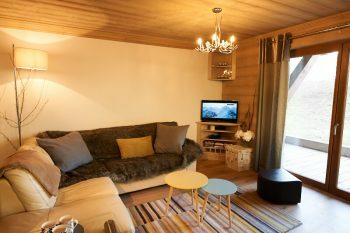 A much more ‘down to earth’ experience than Courchevel 1850, accommodation here generally offers much more value for money thanks to a plethora of centrally located chalet hotels. 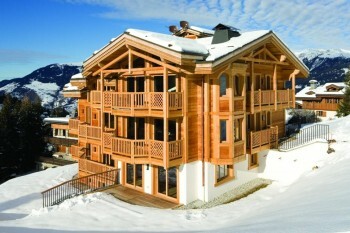 Smaller sole-occupancy ski chalets are well represented here too. For après-ski, try the Brit-run Bubble Bar or the Funky Fox. For a little more choice, head over the road to Rocky’s. The skiing itself does need some explaining. It doesn’t link very easily to the rest of the 3 Valleys. To do this, skiers do need to take two or three lifts before you can ski down to Meribel. If access to the 3 Valleys is paramount, 1850 or 1550 would be better choices. That said, its relative isolation can be viewed as a positive. The ski area in and around Courchevel 1650 is very much a ‘go-to’ area for skiers looking for untouched off piste or uncrowded and gentle blues. For beginners, the fact the resort is relatively peaceful means the money you spend on tuition goes a little further because you are not spending quite so much time queuing for lifts. 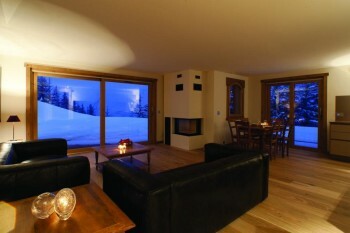 Courchevel 1850 is justifiably famous for two things; its incredible skiing and its high end accommodation. The skiing itself in 1850 is extremely varied for a relatively small area, and offers something to all levels. The accommodation is mostly hotel-based, with some of the very best hotels in the world – many of which have to be seen to be believed. 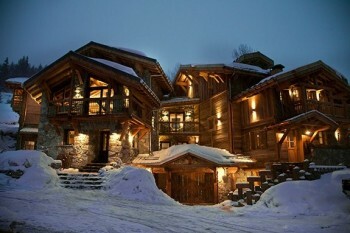 There are also a handful of ultra-high end private ski chalets to cater for the high net worth individuals who flock here. 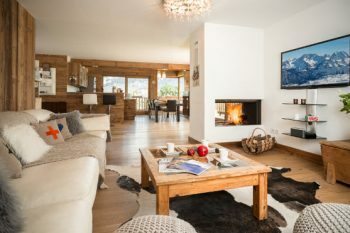 That said, for those that know where to look, there are some excellent mid-range alternatives that offer skiers with a more modest budget somewhere to stay. Bars and après-ski used to be a strong point in Courchevel 1850, but recently these have been bought up and converted into high end restaurants and cocktail bars. 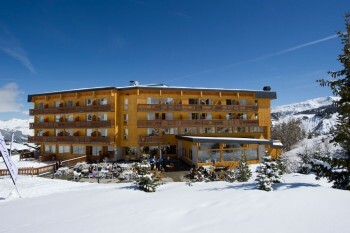 The only real après spot is Le Ku De Ta, and the only affordable watering spot is Le Refuge, a real ‘spit and sawdust’ French-run bar right in the centre of the resort. 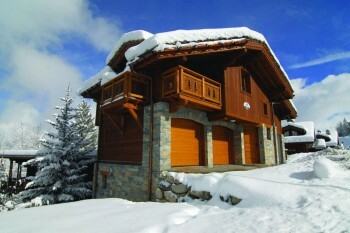 The 3 Valleys is the largest and arguably best-linked ski area in the world. Thanks to its 600km of pistes, multiple snow parks, huge areas of easily accessible off piste terrain, great ski school and a modern lift system, there really is something for everyone. 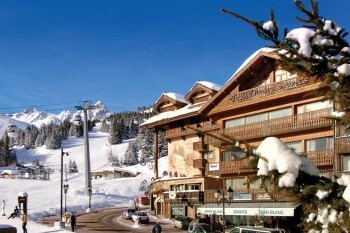 Courchevel itself is a very good ski area in its own right and has enough pistes to keep most skiers busy for the week. 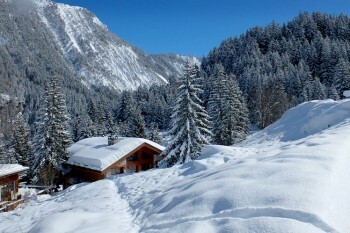 Courchevel is one of the best areas in the Alps on which to take your first ski ‘steps’. 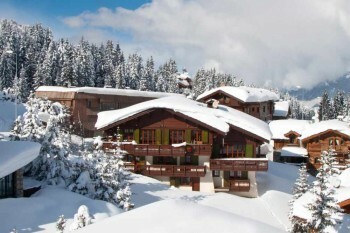 Courchevel 1850 and 1650 have a wide range of easy greens and blues as well as a good selection of ski schools. 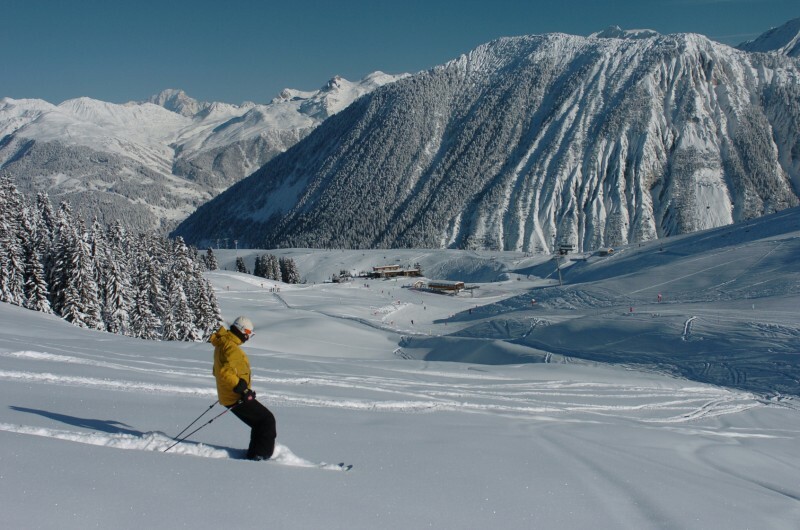 We love the pistes in and around 1850; the two nursery slopes called Bellecote and Verdons are perfect for beginners and both served by gondola leading out from where the ski schools meet. There is another nursery slope slightly higher called Pralong that has a designated ‘Zone Tranquille’ set aside for beginners. 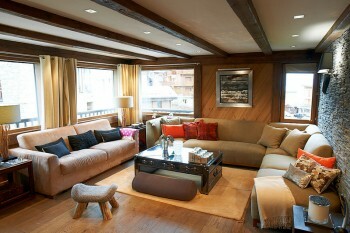 Courchevel 1650 is also excellent for beginners. Not only are the slopes wonderful to learn on but because the ski area is slightly withdrawn from the main area, the slopes and lifts are not as busy which means you get better value for money from your ski school. Courchevel has excellent pistes for intermediates as well. Highlights are the Biollay blue run, a sweeping gentle slope with plenty of steep sections to build up some speed. 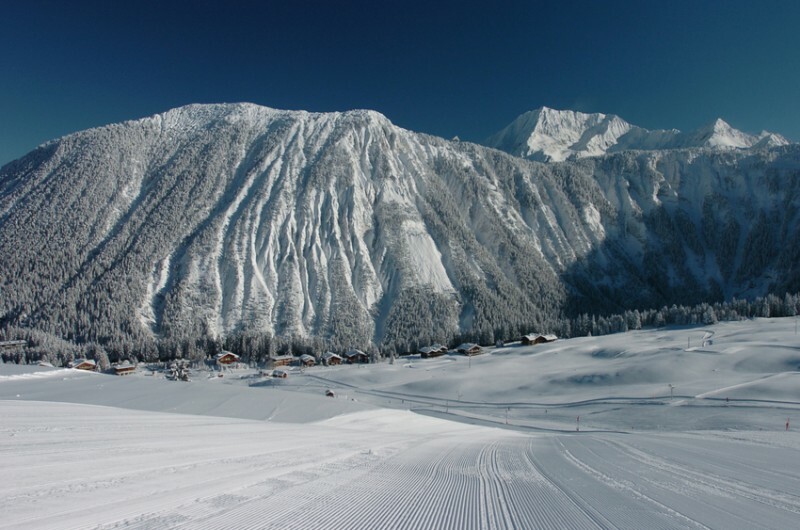 We also love the Combe Du Saulire which starts off very steep but becomes a quick yet manageable piste for most skiers. 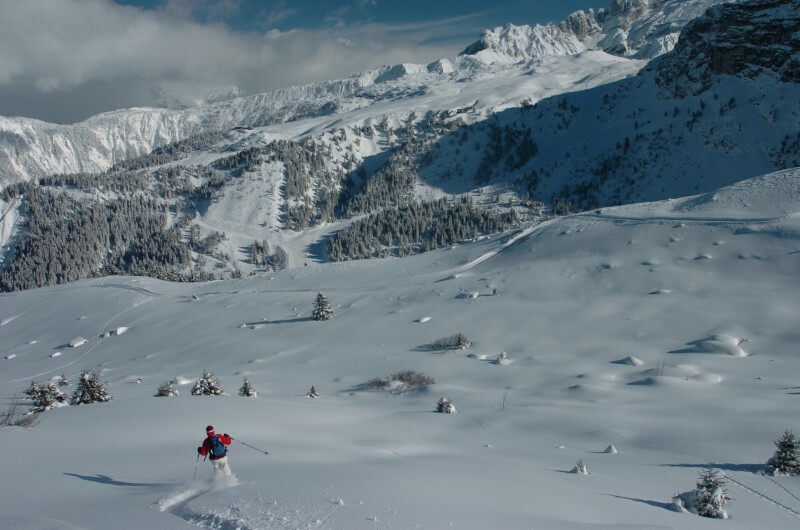 Another must-do is the Folyeres piste which descends down to La Tania from the Loze peak. We think it’s the best piste in the 3 Valleys (perhaps with the exception of the Jerusalem in St. Martin). It’s a great choice for a pre-lunch run as it ends up in La Tania which has a good value Michelin star restaurant (Le Farcon – must book! ), and a more burgers and beer choice, Pub Le Ski Lodge. The one run every expert heads for is the Grande Couloir from the top of the Saulire in 1850. This is not for the faint hearted. First of all it is not pisted, but also just reaching the piste is incredibly difficult. The other piste which experts flock to is the Suisses from the top of the Vizelle gondola and the Jockeys, a treeline descent down to Le Praz. 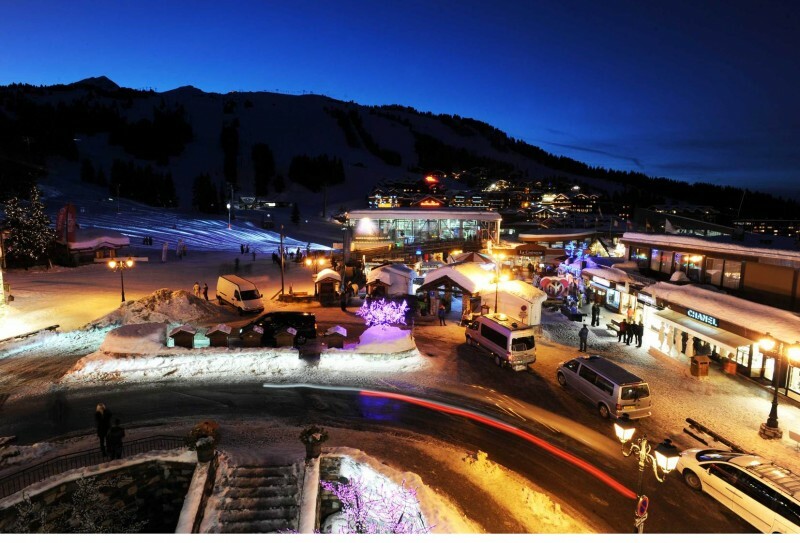 Courchevel is probably the least lively resort of the 3 Valleys but there are some good bars and nightspots if you know where to look. 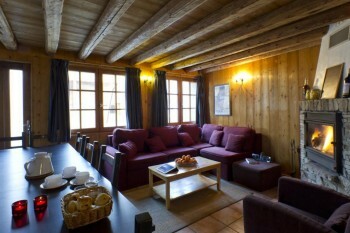 1850 is more of a hotel bar scene but there is a good ‘spit and sawdust’ bar in the centre of the town called Le Refuge. Le Ku De Ta (previously called Kalico) is the only real après-ski spot of note. 1650 has a bit more going on; the three main bars are the Bubble Bar, Funky fox and Rocky’s. All are good for après as well as aafter-dinnerdrinks. All three feature live music and have happy hours. Both 1300 and 1550 have a few bits and bobs going on but we do suggest that if you are looking for a night out or some lively après-ski, you are better off going to 1650. 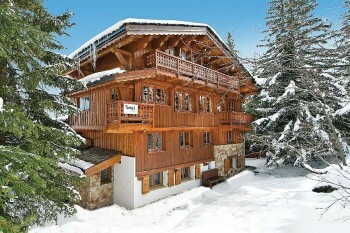 A large chalet in a wonderful position in Courchevel 1650. 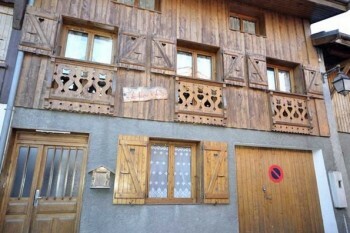 A large high quality chalet located just outside Courchevel 1650 village centre. 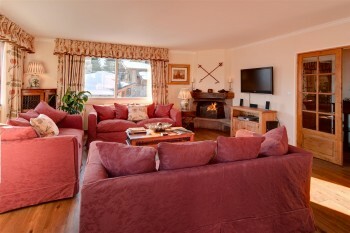 A traditional, free-standing chalet in a convenient location in Courchevel 1850. 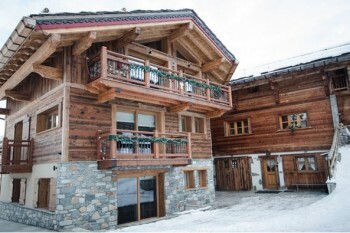 A high quality chalet in a gorgeous location in Courchevel Le Praz with a hot tub! 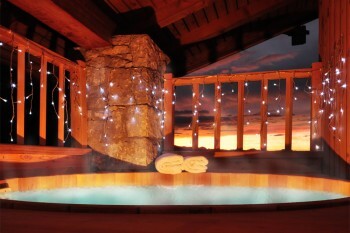 A gorgeous self-catered chalet with a hot tub located in Courchevel 1650. 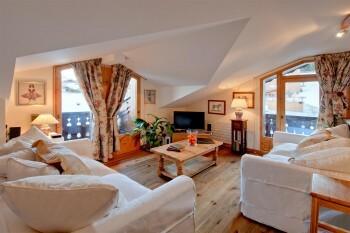 A small chalet apartment in one of the best locations in Courchevel 1850. 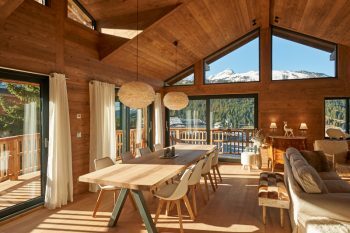 A catered chalet for just two guests?! Yes, it really exists!